Its funny the things that different animals will and will not eat. You would think the pigs would love oranges however you would be wrong. The pigs won’t touch them, even if you cut them open so they get straight to the citrusy goodness. Maybe if I squeezed all the juice and added a bit of vodka and a paper umbrella, maybe. I’m not convinced. So what to do when you have 75 pounds of oranges? Why give them to the cows of course. 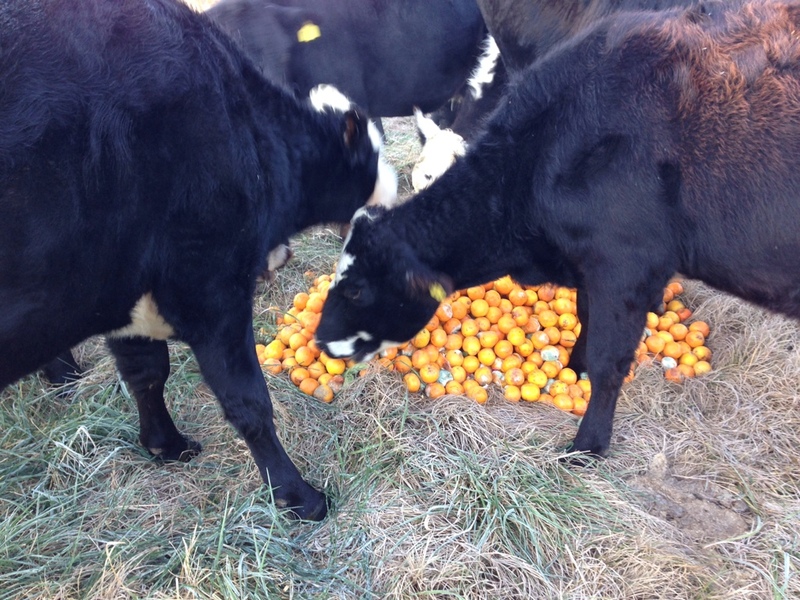 Cows LOVE oranges and eat them rind and all. I’ve yet to get orange milk from Spunky but there is always tomorrow. Speaking of Spunky, it looks like she is in heat and Benjamin was already putting the moves on her this morning. I was wondering where the Barry a White music was coming from. Now I know. 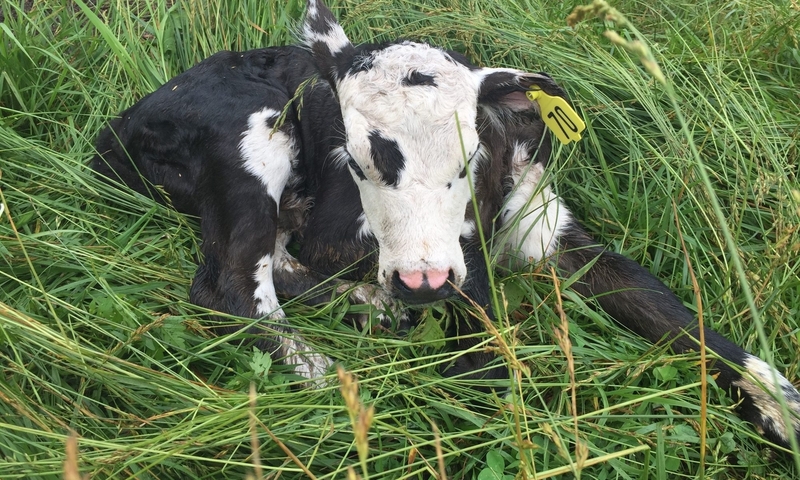 May as well start the countdown till the next calf because I have no doubt that Benjamin will be shooting straight. This will cost us some milk production of course but that’s ok. We aren’t in the production business when it comes to milk.